If we had a penny for every time we've covered the amazing new services and research coming out of Japanese mobile carrier NTT DoCoMo, we'd have the proverbial riches of Croesus (well, almost) but the problem has always been that the stuff has an annoying habit of staying in Japan. 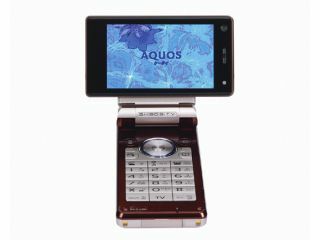 Those of us in the West have long had to watch from afar as Japanese phone users got to grips with e-cash handsets, credit cards in their phones and super-fast data rates while we skulked around in 2G short pants. Now, however, that might all be about to change if a little-known branch of the Japanese giant succeeds in its plan of bringing a tiny bit of that Far-Eastern know-how to Europe. Since late 2000, a team of researchers at DoCoMo Communications Laboratories Europe has been beavering away at a facility in Munich working towards an ambitious mission statement that could change life for the continent's millions of phone subscribers. Euro-Labs CEO Dr Toru Otsu, explains what his staff must ask themselves every time they clock in at the German office: "The exciting question today is, what will future emerging trends of mobile phone usage look like?" The answer, it seems, lies in the 'Mobile Adventure' theme that governs everything the Euro-Labs does. Although it sounds like something that might be found in across the border in Marne-la-Vallée, there is a very serious side to the research. Chief Technology Officer Dr Hendrik Berndt says that work is necessary to understand what's likely to be possible and to succeed when we move to the 4G phone networks the Japanese parent is so famously developing. He explains: "4th-generation mobile networks and service support… require both meticulous research and high-flying dreams to imagine what could be possible within the information society for the years to come. "4G mobile systems will expand communications as we know it and transition today's information infrastructure to a truly daily-life supporting environment." Although that 'life-supporting environment' is sure to include services like those currently enjoyed in Japan and plenty more, there is a fun side to the work Otsu, Berndt and their colleagues are ready to show the world now. Unlike many high-end research institutes, DoCoMo Euro-Labs actually has plenty of tangible results to show for its labours. Prime among these is a newly released social-networking application for mobile phones. Owners of Nokia Series 60 phones are free to check out IYOUIT as a free download from the website or via a handy auto SMS service on the same page. Once started, they'll find a rich smorgasbord of a Web 2.0 app (typically, it still sports a trendy 'Alpha' label) that mashes up everyone's favourite services. IYOUIT, which is a venture between Euro-Labs and Telematica Instituut of the Netherlands, is all about awareness – it decides what to do with users' Flickr photos taken on the go, Twitter messages, Google Maps data and plenty more, presenting it as an attractive package for the small screen. The newcomer has some elements that overlap with other mobile services, such as Nokia's Plazes and Google's Jaiku, but the development team feels it has something more to offer. Euro-Labs' Dr Marko Luther explains IYOUIT stands out through, "a high level of context awareness on standard phones … and the multitude and completeness of its context streams." In other words, it does what all the rest do, except does it far better and in far more complex ways. A typical scenario might have IYOUIT-ers sending mobile Tweets to the service with a view to them being picked up by friends pre-registered as 'Buddies' in much the same way as Facebook allows friends to see each others' activity.